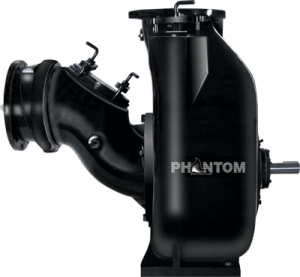 American made pumps from Phantom Pumps are the industrial centrifugal high and low-pressure pumps that are always assembled, tested and packaged in the US. All seals, casings, plates, impellers and other components used on our pumps and on any pump packaged system designed by our application engineers always meet and/or exceed the highest industry standards and adhere to our strict quality control measures. Lowering costs can also be achieved when a more affordable Phantom Pumps PL-Series low-pressure pump or PH-Series high-pressure pump is substituted for a worn-out or broken pump, such as a compatible Gorman-Rupp, Warman, ESCO Pumps or Durco model, on a fluid processing line or in a pump packaged system. Organizations often report greater performance and productivity from Phantom Pumps self-priming pumps. In addition, processing facility service departments can easily lower pump repair and maintenance costs by using Phantom Pumps interchangeable replacement parts for repair and maintenance services. Phantom Pumps is the US pump manufacturer that provides unparalleled services and technical support to industrial fluid processing organizations worldwide. Our application engineers are always on hand to recommend the American made pumps in our line that are best suited to replace the other brand name pump equipment in use at processing facilities in Florida, Alabama, Georgia, Ohio, North Carolina and beyond. Phantom Pumps distributors are the local experts that processors can always trust and rely on for local stock, installation guidance and after sale support. Contact us today to learn more about lowering costs and improving productivity with pump equipment from Phantom Pumps.